Cut the Rope – Games for Android 2018. 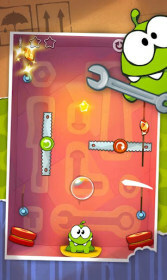 Cut the Rope – Awesome arcade from Russian developers. 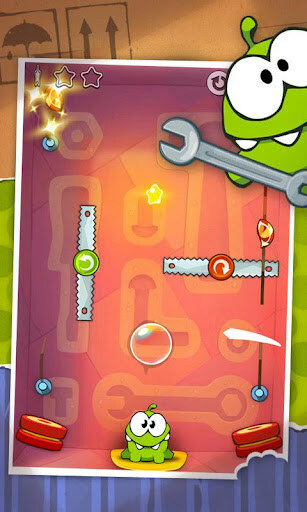 Cut the Rope is an awesome logical game for Android that lets you meet a funny and a bit weird green creature that looks like some alien frog. 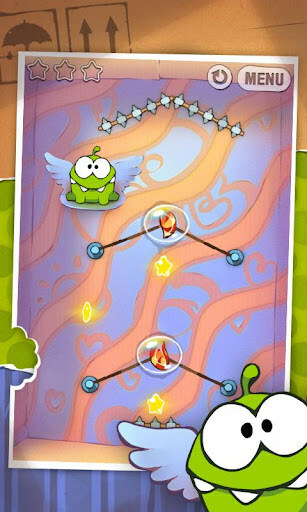 When you start playing you find out that the little chap called Om Nom has a sweet tooth. And that’s what the game is all about: you will need to help the monster by bringing him all the sweets to satisfy its huge appetite. The game was released by a Russian game dev studio called ZeptoLab. It features cute graphics, addictive game play that draws you in the first time you play it, and fancy soundtrack. 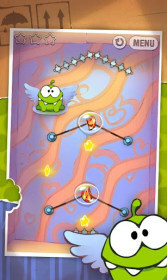 You will be able to enjoy numerous tasks where you’ll need to use your brain power 100% to treat Om Nom. 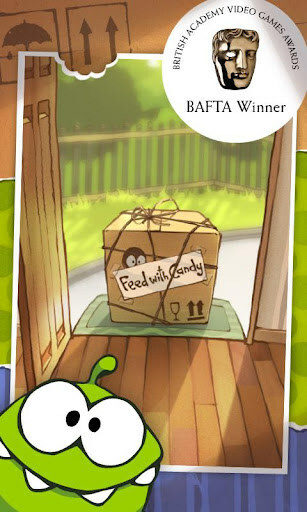 During this quest for sweets you will find yourself and Om Nom inside of boxes made of various materials. The playfield will have a sweet (you can choose between a lollipop, doughhut, or cupcake) that you will need to deliver to the creature by overcoming various obstacles and avoiding traps. Apart from it, there will be little stars placed all about the playfield that you will need to get to earn more points and unlock new levels. When you just begin playing you may think that levels are really easy to complete, but later on you realize that it gets more and more challenging. Certain tasks—making you think even harder how to avoid all advanced traps and get all stars—may take you as long as ten minutes or so to solve. Overall, the game features three seasons and 15 boxes with 375 levels. You can download the game for free with built-in ads or pay $1 to play the version without ads and $2 for the HD version of the game. Also, the game features a store where you can purchase upgrades and other perks. 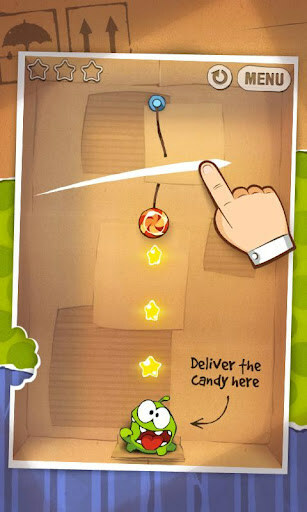 Cut the Rope is a really great and cute game that you can play for hours. If you’re a fan of challenging brain teasers and addictive games, this logical masterpiece is the best fit for you. This game is not working on Micromax Canvas4, can anyone help to get the app running on my device.